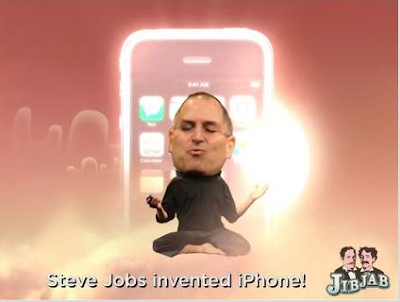 Peace on earth to you crazy JibJab dudes for including me and iPhone in your 2007 roundup video. Shame on you, however, for stealing the same Billy Joel song as the Bubble 2.0 video guys. You really couldn’t find a different song to steal? Really? Dear reader George, I wish you peace and namaste. If anyone spots this video on YouTube let me know and I’ll embed it here for the rest of the community.